LAHORE, Apr 15 (APP):Under-16 boxers reached the finals of 10 weight categories after scripting victories in the semifinals of Annual Sports Calendar second phase boxing competitions at Nishtar Park Sports Complex Gymnasium Hall here on Monday. 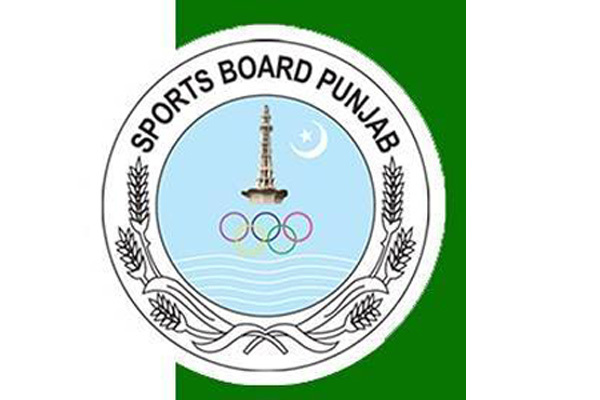 Director General Sports Punjab Nadeem Sarwar said on Monday, said that young boys and girls are taking part in Annual Sports Calendar’s second phase events with great passion and we are quite confident to find several talented players from these competitions. According to details, Lahore’s MoeezcKarim will face Ali Zain of Sargodha in 36 weight category while Hashim Ali (Lhr) and Akram Hussain (Bwpr) thrashed their opponents in semifinals to set up title clash in 40-kg category. Adeel Shahid (Srgdha) and Mohammad Umair (Lhr) will lock horns in 45-kg title clash. Ali Hamza (Mul) and Saif Ali (Lhr) also emerged winners in 48 weight category semifinals. Saood Ishfaq (Gujwala) and Mohammad Nadeem (Lhr) will contest the final of 50 kg weight category bout. The final of 54-kg weight category will be fought between Jabran Israr (R.pindi) and Talha Bashir (Fsb) while Saif Ullah (DGK) and Aurangzeb (Gujrwla) will face off in 57kg weight category final bout. The final bout of 60 kg weight category will be contested between HarmainTalib (Lhr) and Usama (Srgdha). Ihtsham Haider (Mul) and MianSaeed (Gujrwla) also booked a place in 63-kg weight category title clash when they trounced their rivals in their respective semifinals. Abdul Hannan (Lhr) and TalhaIqbal (Fsbd) also cruised into the final of 66kg weight category after tasting victories in their respective semifinals. Three matches were decided in the Annual Sports Calendar second phase Women Cricket event. In the first match, Bahawalpur defeated DG Khan by 55 runs while Sargodha edged out Rawalpindi by 19 runs. The third match was played between Faisalabad and Gujranwala. Faisalabad girls emerged triumphant by 45 runs in this contest. In Annual Sports Calendar second phase kabaddi event, Sargodha toppled Rawalpindi by 21-3 to win the clash by 18 points while Bahawalpur (36 points) thrashed Multan (19 points) by 17 points. Faisalabad (32) boys outplayed DG Khan (16 points) by 16 points in the third match.